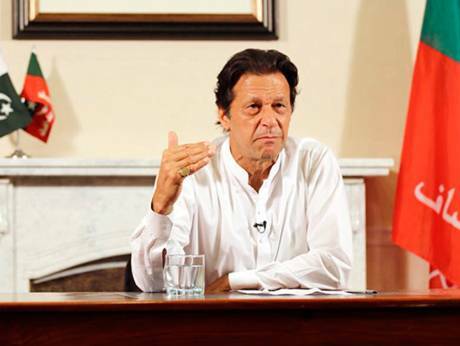 ISLAMABAD: Overseas Pakistanis and professionals are pinning their hopes on Imran Khan as the Pakistan Tehreek- e-Insaf (PTI) is set to form the next government, saying that the time has come to deliver on his vision of a new, prosperous Pakistan after winning the nation’s trust. Pakistanis settled in the UK and professionals hailing from his hometown said if incentives are given with genuine one-window facilitation to cut through red tape, they would mull over the option of investment for playing their role in overcoming the crippling economic crisis, they said. Amman Yusaf, working in optometry in central London said it was encouraging to hear Imran Khan tap the potential of over 7 million overseas Pakistanis fanned out across the globe to surmount the daunting challenge of eliminating corruption. “But the real hiccup is availability of basic information online about investment incentives and sectors where expatriates can invest, garnering prompt responses to their email requests,” he said. Pakistan’s expatriates will be ready to respond provided they have a solid guarantee that their investment will remain safe and they will not be dragged into unnecessary litigation by locals. Being able to concentrate on business ventures thus necessitates requisite judicial reforms too, said Amman. “We’re going to run Pakistan in a way it’s never been run before,” Imran said in his victory speech after he bowled out his opponents while his supporters took to the streets in celebration. Imran narrowed the focus onto mis-governance which caught the attention of the common man who faces it day in and day out during his visit to a government office or a hospital. Instead of being served, they are made to run from pillar to post to get normal chores done. “In Pakistan, the main problem is not extremism,” The New York Times quoted Imran saying in a recent interview. “We are a governance failure. And in any Third World country, the moment the governance collapses, mafias appear.” The PTI chief’s emphasis on the rule of law also went down well with overseas Pakistanis like Maham Malik who hails from Namal Valley and has just graduated from Durham University Law School (England) with first class honours. “Institutions can topple harmful structures of power through the judicial process. The aftermath of the elections reveal the democratic process can do the same. Hearing Imran Khan’s victory speech, I was struck by the wisdom and sincerity in his success,” said Maham, who is also a Harmsworth Scholar at the Honourable Society of Middle Temple in London. “The underlying theme of his plans for the future rests on the very essence of constitutionalism and power which the law strives to uphold. A leader willing to harmonise the relationship between different arms of government for mutually complementary progress is a great achievement for any nation, let alone a young and fragile democracy like ours. Finally, Pakistanis have a chance to speak the truth to power,” said Fahad Malik, an architect based in London, commenting on Khan’s address. “I recently heard Imran’s victory speech, where he extends a hand to overseas Pakistanis to come back and invest in our country. With this in mind, I would like to take this opportunity to extend my hand back.” With a primary focus on solving the housing crisis facing the country, he hoped the new government would support incentives for architects living abroad to work in Pakistan. “In most parts of the world, particularly developing countries, design is considered a luxury and hence not usually afforded. I am astonished at the level of construction happening in my country and in turn distraught at the lack of beautiful design,” Fahad said responding to PTI’s plan to build millions of homes across the country to address shortage of houses. Meanwhile, in his home district Mianwali, the people expect much more to unravel the web of poverty. Moeen Abbas, an MBA graduate from Oxford who grew up in Namal, proposed that even if the cattle market at Bun Hafizjee every Thursday could be expanded into the foodgrain market, it could be a harbinger of change in the development of the poor of the area. This market already performs the much-needed job of eliminating the middleman in rural markets. “Like many small towns, the ‘mandi’ (market) is deeply rooted in the socioeconomic system of Namal Valley. Cobblers and farmers toil all year round, artisans sweat to craft their wares, and people of the valley flock to buy these items at dirt cheap prices,” said Moeen, who works as a consultant in Islamabad. The president of PTI in Namal, Shaukat is jubilant over the victory of his party. He said it was the people’s faith in Imran’s honesty and his vow to rid the country of corruption which captured their imagination.